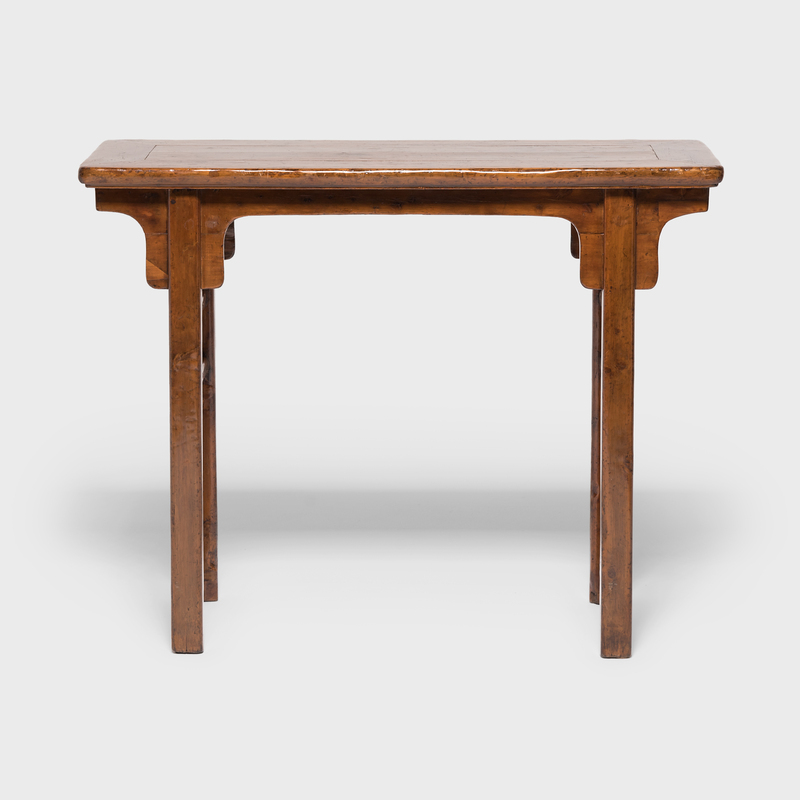 W: 64.5" D: 29.5" H: 33.0"
Achieving a modern aesthetic centuries in the past, this Qing-dynasty table's clean lines are at home in any contemporary room. 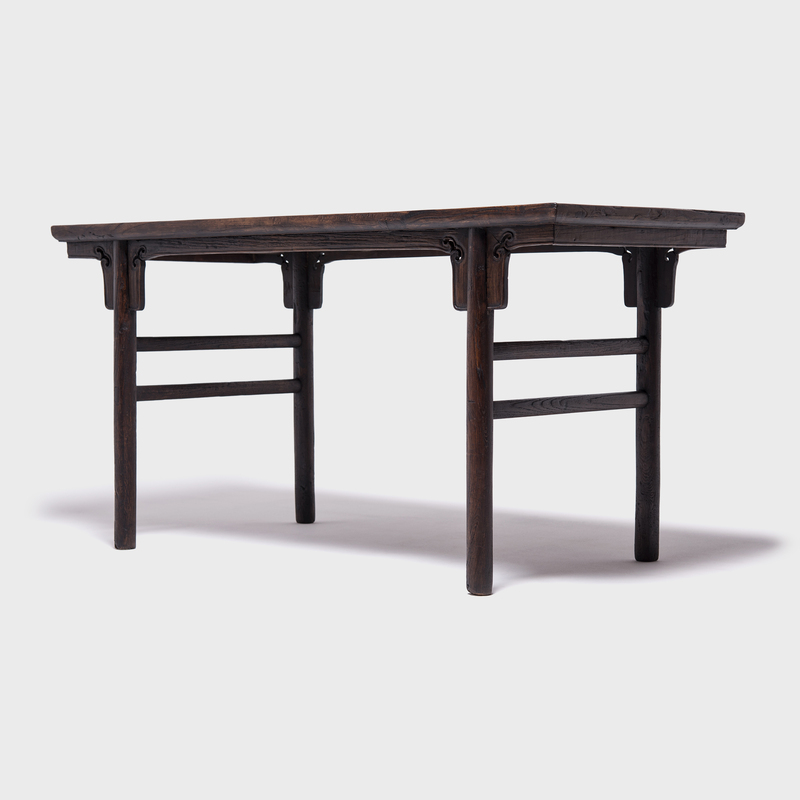 The fundamental forms of antique Chinese furniture makeup the backbone of Minimalist design. 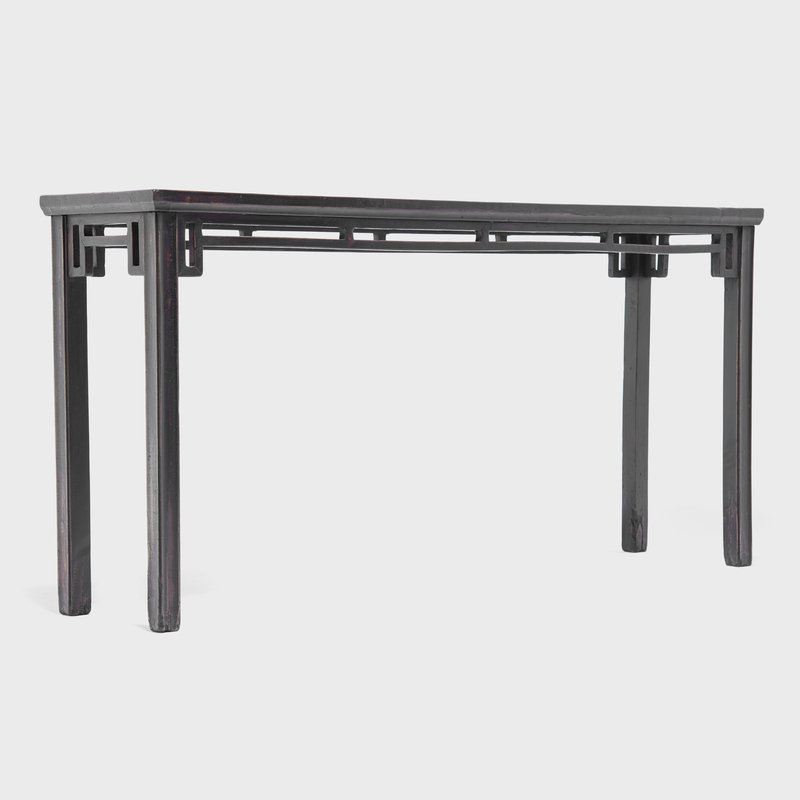 The simple stretchers and finely curved apron on this table place it in a legacy of functional elegance. The subtle carvings on the spandrels are "ruyi," Chinese mushrooms representing wisdom. 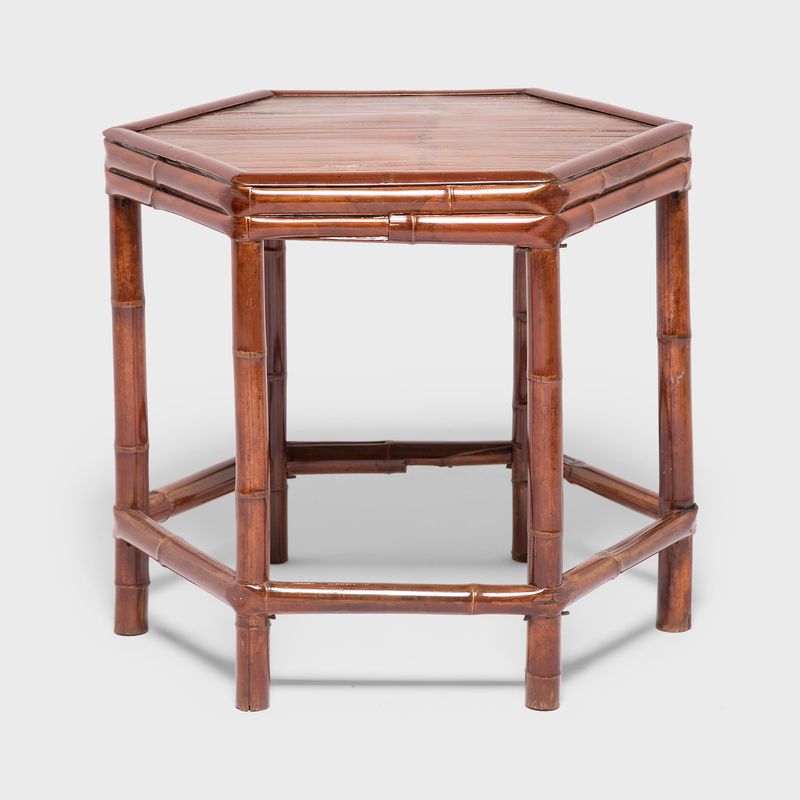 Qing dynasty furniture was frequently embellished with such symbols in specific reference to the individual the piece was made for. 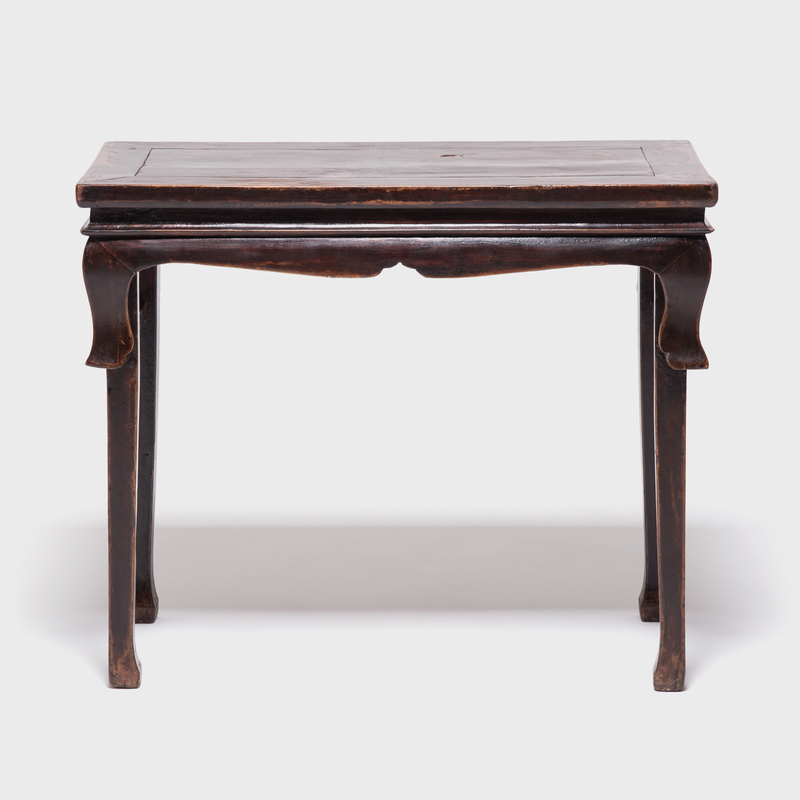 As such, this table most likely served as the writing desk for a person renowned for their wisdom.